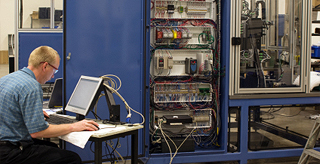 CW Engineering works closely with our customers to design innovative, high-quality and cost driven options for electromechanical switches, connectors, wire harnesses, insert molded lead frame assembly, and PCB assemblies. We provide comprehensive customer support with on-site design and technical assistance to enable our customers to go from product concept to production without delay. Our engineers utilize Catia, Pro E, AutoCAD & Solid Works software and Stereo Lithography Apparatus (SLA) to rapidly produce prototypes without incurring substantial tooling costs. Our innovative ideas have resulted in many patented and trademarked items. Recognized experts in Commercial and Mil Spec Interconnect technologies. 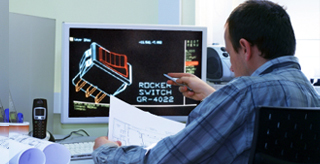 The critical key to manufacturing low-cost, high-quality components and assemblies is tooling design. CW’s in-house tooling capabilities include rapid prototype, and production mold, stamping and automated assembly tooling. We design, build and maintain tools – both simple and complex to ensure manufacturing repeatability and compliance and to meet your most challenging dimensional, shape and size requirements. CW Tooling engineers are an integral part of the design for manufacturing team to ensure cost-effective manufacturing options and to provide our customers with greater design flexibility, shorter lead times, and increased control over the quality and performance of the final product. 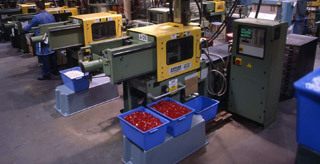 CW has complete injection and insert molding manufacturing capabilities in- house. We expertly mold an in depth selection of colors and materials such as nylon, polycarbonate, polyester, LCP, and many more. We maintain the highest levels of quality through advanced process controls and both automated and semi automated systems including our automatic drying and conveying system which eliminates potential for material contamination. Our many years of experience supplying both small to high volume switches and connectors has made CW the primary choice when you require superior quality, quick turnaround and selective materials. 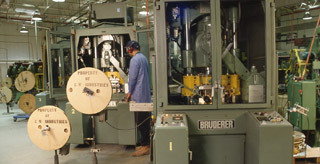 Our vertical integration practices extend into stamping and metal forming at our U.S. plant in Pennsylvania. We manufacture unique designs, shapes and sizes in a wide selection of materials including steel, copper, phosphor bronze and many others. The versatility of our equipment, skill of our personnel and our built in quality control systems ensure repeatability and reliability. The design and consistency of our metal stampings and sub components are integral in the successful performance of our connector and switch products in the field. 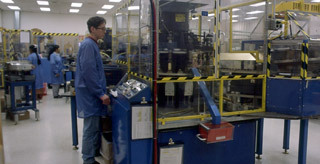 To ensure cost effectiveness and compliance, CW plates many of its products in-house. 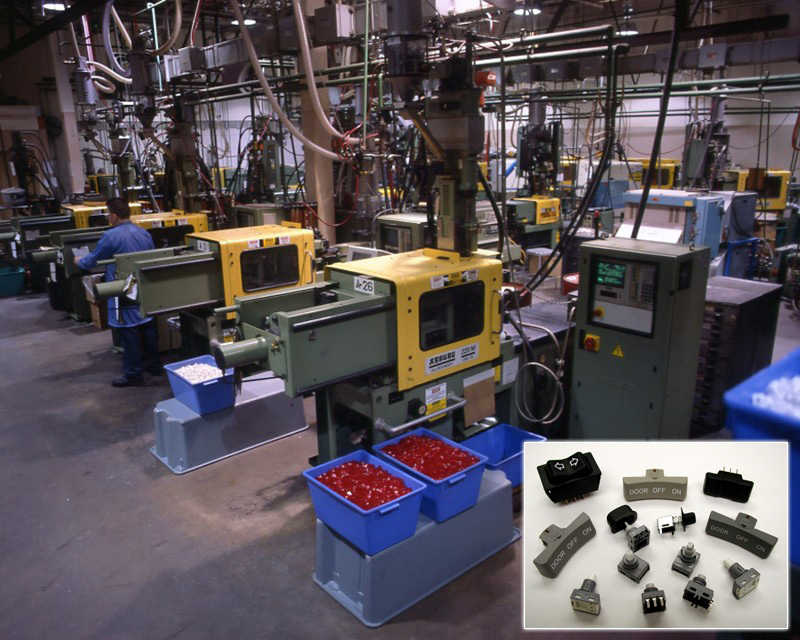 From stamped switch contacts to plated connector pins, we exercise precise control over our processes to save our customers money and eliminate any unnecessary waste. We have selective and duplex plating capabilities and plate a variety of materials including gold, silver, palladium, nickel and tin. CW’s plating processes are environmentally responsible and we meet all the necessary regulatory approvals. 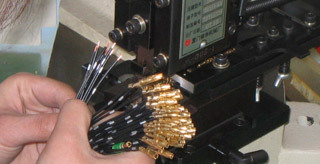 You can find many of CW’s plated connector products in sophisticated military electronics and missile systems where reliability and performance are critical in the successful transmission of field data. CW Industries has designed and developed both automated and semi automated equipment in- house, to reduce manufacturing costs and remain competitive in today’s world economy. 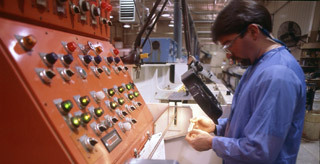 Our design teams have developed advanced equipment resulting in higher consistency, reduced lead times and lower costs. Specialized vision systems are an integral component of our designs to ensure repeatability and isolate any potential defect prior to shipment. CW has formed Strategic Alliances that offer our customers high-quality, cost-effective options utilizing our design and quality expertise. Our partners are ISO 9001 and TS16949 certified and extend CW capabilities overseas.